In this exciting collection of three videos Laura demonstrates lots of ways to create totally individual fabric surfaces using a variety of techniques. 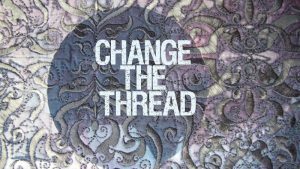 She explains how she transforms an already quilted or embroidered textile with discharge paste and demonstrates ways to modify the colours of a quilt or embroidery with an application of acrylic paint. 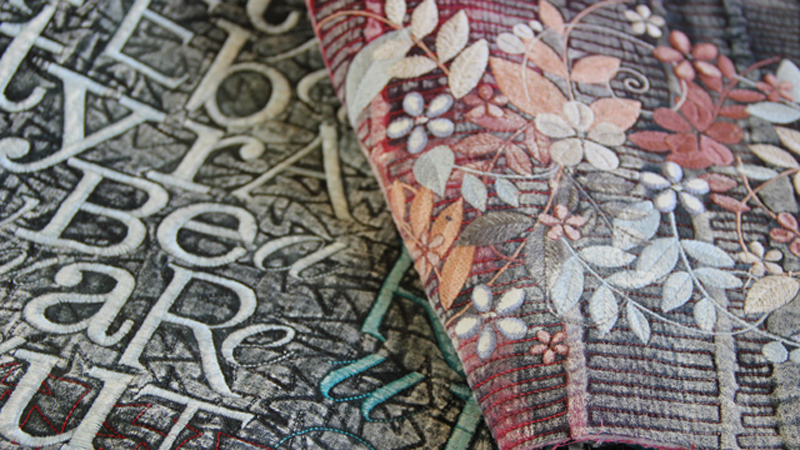 In the final video she explains a simple and effective method of producing text on fabric using a rubbing technique with stencils and Markal Paintstiks. There’s lots of inspirational ideas that you’ll be able to include in your own work in this archived collection! If you’ve never experimented with discharge techniques this is the video for you! Watch Laura to see how she modifies the fabric colours of a contemporary patchwork quilt to create a softer and faded vintage look. She shows exactly how discharge paste works on both fabric and thread. 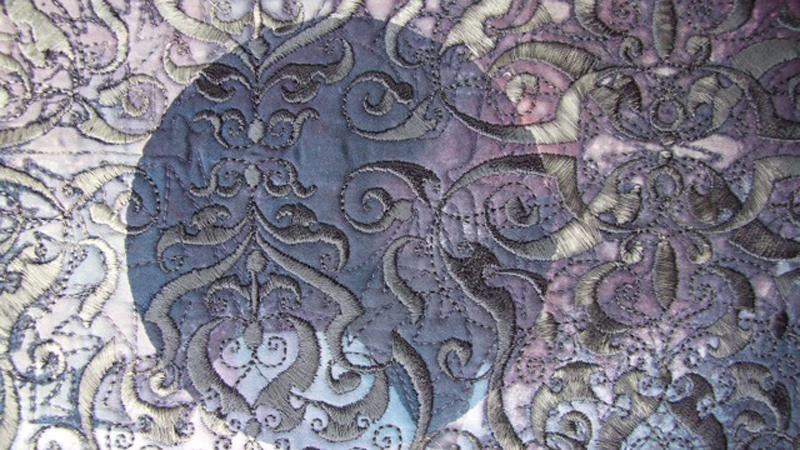 Her examples of quilted and embroidered surfaces change dramatically before your eyes! Loads of creative potential to produce dynamic textile surfaces for any number of purposes! Laura’s quilts and embroideries usually feature a complex layering of techniques. In this video she explains how she applies a delicate layer of acrylic colour to a stitched textile that appears to be complete. The fabric is already quilted and may also be embroidered but is instantly transformed by one final application of colour. 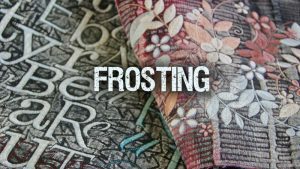 Her simple technique is explained in great detail so that you’ll be able to create your own beautiful frosted surfaces that intrigue and fascinate! If you’ve used a rubbing technique to create attractive images on paper or in your sketchbook you may have wondered if you can achieve similar effects on fabric – let Laura show you how. 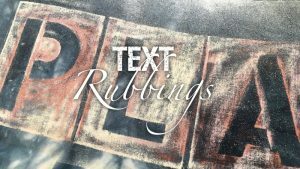 In this video she demonstrates simple methods of using metal and card rubbing plates to produce text on fabric with fabric pastels. This is the perfect way to introduce a graphic element or message within your quilt design.